The 2001 Los Angeles Lakers had one of the most dominant runs in playoff history. After sweeping through the entire Western Conference, Shaquille O’Neal and Kobe Bryant were shockingly handed a loss in Game 1 of the NBA Finals by Allen Iverson and the Philadelphia 76ers. That one defeated served as a wake-up call and the Lakers were determined to get back to their dominant ways, and it was O’Neal who would lead the charge. After evening the series in Game 2, and gutting out a tough victory on the road in Game 3, the Lakers went into Game 4 looking to slam the door on any hope Philly had of winning the series. And they did just that on June 13, 2001. The Lakers dominated from the jump, leading by 14 points at the half and ultimately coming out with a 100-86 victory to take a commanding 3-1 series lead over the Sixers. 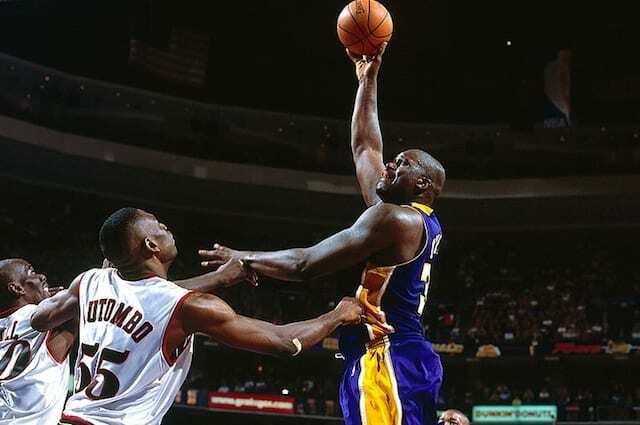 As what tended to be the case once the Finals started, it was O’Neal who was completely unstoppable. He led the way with 34 points, 14 rebounds and five assists while making life miserable for Dikembe Mutombo and the rest of the Sixers big men. 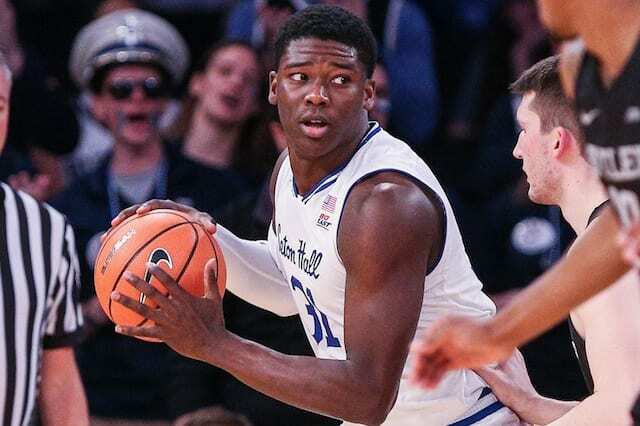 Meanwhile, Bryant had an extremely efficient night, taking just 13 shots and nearly notching a triple-double as he finished with 19 points, 10 rebounds and nine assists. The Lakers also got a little help from their role players. Derek Fisher had 10 points and three steals, Robert Horry knocked down all three of his shots from deep for nine points, and Ron Harper had a solid all-around game with eight points, four rebounds and two assists. The Lakers would go on to finish off the 76ers in Game 5, claiming a second consecutive title and giving them the best record for a playoff run in NBA history.